Lux Guardian Air Platinum Purification System operates with an innovative combination of technologies, proven to rid the air of contaminants. Particles are first charged by an ion generator, creating an electrically charged attraction to the filter. Unlike other ionizers, Lux Guardian Air Platinum directs particles to the filter through the movement of air by the fan motor. Most ionizers are only effective within a 2-foot radius due to the lack of air movement. Most importantly, Lux Guardian Air Platinum produces no ozone during filtration. Photocatalytic Oxidation (PCO) then occurs, which is a proven technology that control pollutants by striking UV light on titanium dioxide. Any remaining particles are captured and retained by the filter, a unique media that performs above traditional HEPA filters. Exceeds Highest Standards – A special filter captures 99.97% of the tiniest particles as small as 0.1 microns, including pollen, smoke, dust mites, mold spores and pet dander. Particles captured are 3 times smaller than traditional HEPA filters! Low energy usage – Lux Guardian Air Platinum requires no more power than an average light bulb and is Energy Star Certified. 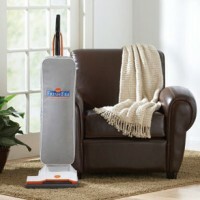 Purify 2,000 Sq Feet – Almost 2,000 square feet can be purified in one hour on high setting. The Lux Guardian Air Platinum carries an exceptional Clean Air Delivery Rate (CADR) rating from The Association of Home Appliance Manufacturers. Control Contaminants – Technology called Photocatalytic Oxidation (PCO) uses the combination of UV light and titanium dioxide to control contaminants. Easy maintenance – Filter requires no weekly additives or washing, and replacement is as easy as sliding a new one in place. Prevent Mold Growth – Polypropylene filter media is waterproof, naturally resisting contamination. Nontoxic fibers release neither the gases nor microscopic particles associated with traditional HEPA filter media. Silent Operation – Air is purified with virtually no noise – in fact, it is one of the quietest motors on the market today! All steel construction eliminates vibrations and rattling and provides long life. 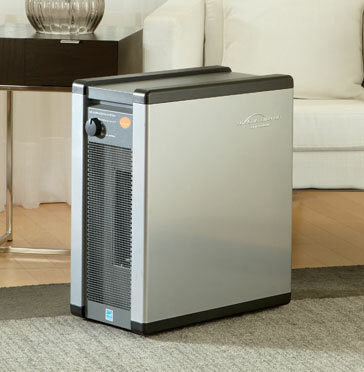 Aesthetic Design – The Guardian Air Platinum meets your home’s standards without sacrificing performance. The unit is constructed of galvanized steel and achieves peak performance releasing no air from the sides and top. Remove Odors – A carbon prefilter removes odors from the air, including cigar and cigarette smoke. No Worries – The Lux Guardian Air Platinum is protected with a 1-year limited warranty. Lux FreshEra Upright Vacuum Active Pro APR (All-Natural Pain Relief) 8oz.